There is really no way to describe this video and do it justice. Basically, you have to watch it. The whole production is so well done, from the music, to the camera angles. It’s definitely a minute and a half worth “wasting” watching a video online. 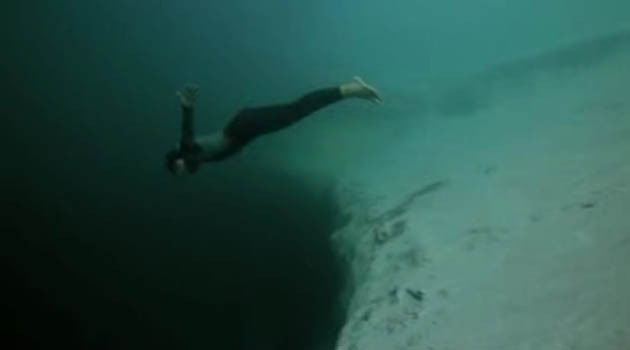 I mean, the jump is cool, then comes the climb back up, and then the surfacing shot. Just really cool. Share this around if you like it. Very cool but, where are the fish?